Teran Toons has been entertaining guests for over 15 years with my unique caricatures. The ability to capture a subject’s likeness and personality is amazing and fun to watch! Children and adults delight in posing for their own caricature! Many of our events are from repeat customers or referrals. 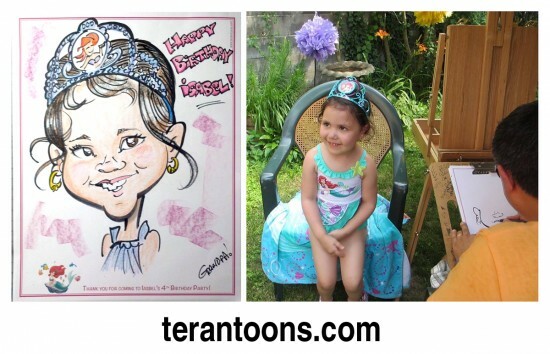 Teran Toons also offers many different caricature packages that you can custom order. Whether you want a gift caricature for a friend, relative, a retirement caricature for a co-worker or a commercial caricature to use for your business, we have the perfect caricature for you. We offer caricatures as digital files, prints or matted & framed keepsakes. Patrick did our Holiday party for 125 people. He was personable, pleasant, arrived on time and extended his time for us. Hi Akia... What an awesome review!! I had a blast at your Holiday Party and I'm glad everyone did too! Thanks for having me. Teran Toons, well exceeded my expectations. He was very professional, spreedy, engaging and flexible. I had over 80 people and majority of my guest were able to have a picture made of them selves in a 2.5 hour time frame. I would recommend him with out any hesitations. FYI- he was GREAT with my population (babies, troubled teens & their families and adults). And very friendly!!!! It was my honor to be at your Anniversary Party. It's a blessing that I can use my God given talent to bring happiness to others. I also hope that my words of encouragement to several of your guests, that have a passion in the arts (music/art), helps them to pursue their God given talents as well! Our set is simple, 2 chairs and our very own easel. Depending on the venue we may require an electrical outright for lighting our artwork. While creating caricatures of your guests onlookers will be entertained as we develop each unique caricature. Each sitting produces fun and laughter for all. The anticipation to have a caricature created draws a big crowd. Each caricature can have a printed personalized message to commemorate the occasion at your request. 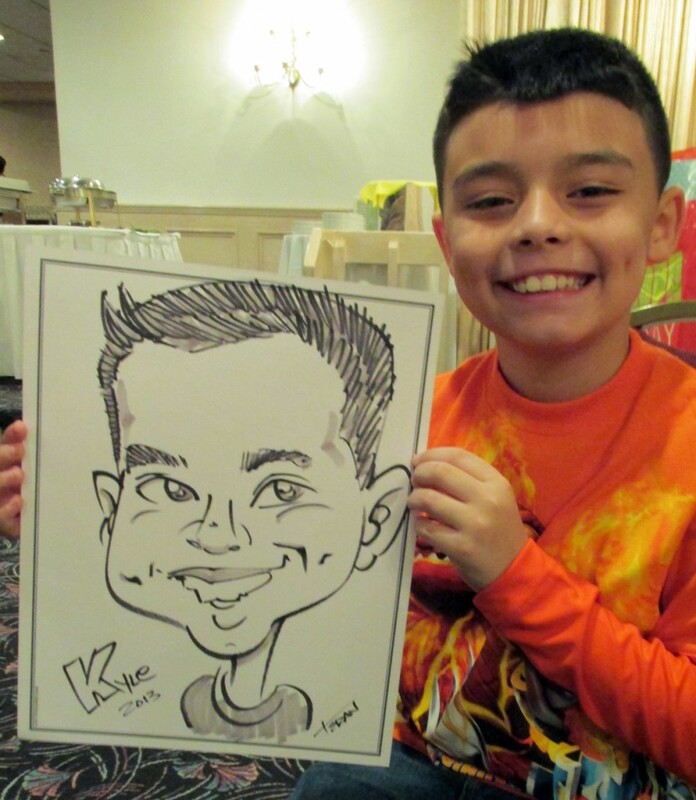 Teran Toons has been serving the New Jersey and NYC area for over 15 years, delighting party-goers with artistic impressions of their likeness. Your guests will love taking home their very own caricature party favor! HIRE A PROFESSIONAL CARICATURE ARTIST TO DRAW YOUR GUESTS! G. Patrick Teran is a member of International Society of Caricature Artists. Partsketch privides talented and professionals caricaturists for your party or event.